My mom is in the hospital right now because of hypertension but I hope she will be discharge soon. Though she is not looking for a colon cleanser that works, her doctor has once again changed her medication that will really suit her. Hope that she will not get dizzy once again. 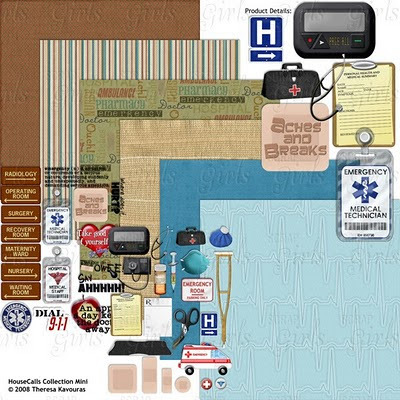 Anyway, if you are looking for a medical House Call Emergency Digital Scrapbooking Kit for some of your photos, here's a kit that includes quite a number of elements like medical scissors, ambulance, syringe and more.